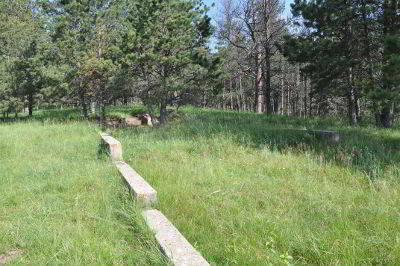 Camp F-12 (Custer), sometimes called Vestal Springs, was located a bout 8 miles northwest of Custer--north on U.S. 385 to 284, west to 292, north to the middle fork of French Creek. 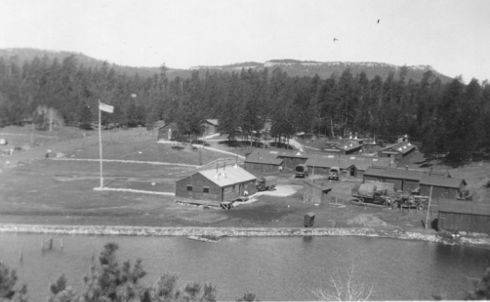 The camp was opened June 13, 1933, dedicated June 25, 1933 (1934); closed sometime in 1941. At this writing the two log cabins used for officers' and rangers' quarters are still standing on private land. 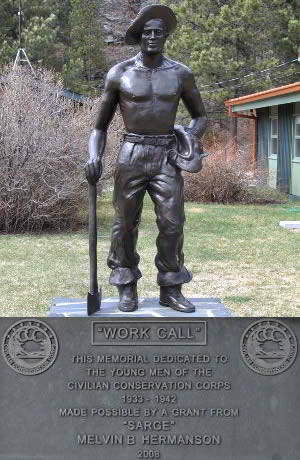 The work consisted mainly of thinning tree stands, fence building, repairing roads, work at the ranger station, and rebuilding telephone lines. There were several small forest fires to add a little variety to the work (1934). 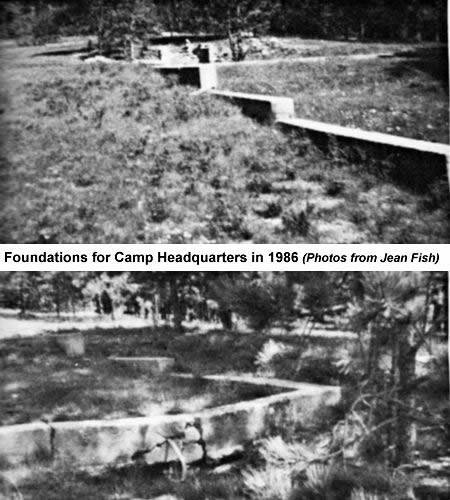 Two side or "fly" camps were maintained away from the main camp throughout the summer and fall of 1933. 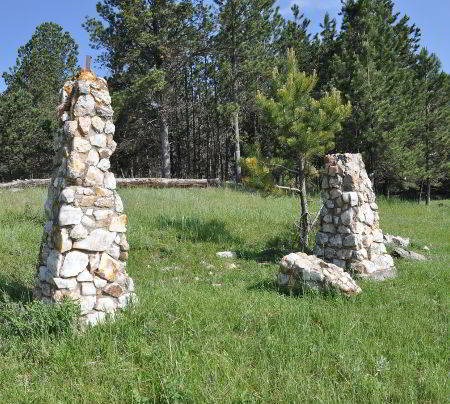 One was located in the Cyclone district about 11 miles southwest of Camp Custer. The work consisted largely of clearing downed timber to make room for a road and a telephone line. Men at this camp were part of a detail from camps Custer, Mayo, and Haselrodt that operated a sawmill cutting lumber for the construction of those three camps. 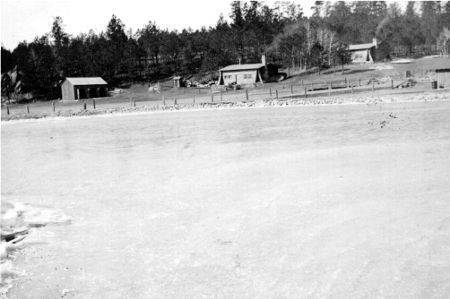 This camp returned to the main camp on December 21 (1934). 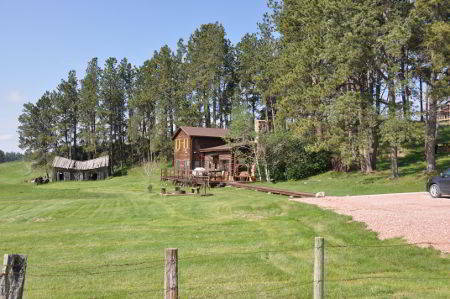 The other side camp was located in the Medicine Mountain district. The summer was spent rebuilding old roads, making new ones, and rebuilding telephone lines. Much of the new road building was done to make that area more accessible in case of fire (1934). 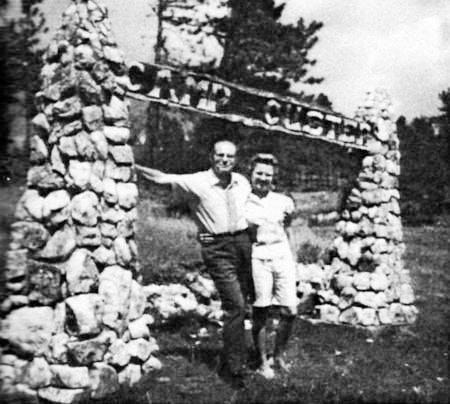 A side camp, named Camp Baxter in honor of Supt. Baxter, was established some distance from the main camp 1934, enabling the work to be carried out over a larger area (1935). The side camp for 1936 was at Summit where the men improved many miles of truck trail by surfacing with crushed rock. Besides the regular work projects, side camps in the summer always served a very important secondary purpose, namely, fighting fires. One of the considerations in locating a fly camp was to make certain area of the forest readily accessible in case of fire (1937).